Here are the steps you need to take to set your (out of office) vacation responder in BishopMail. 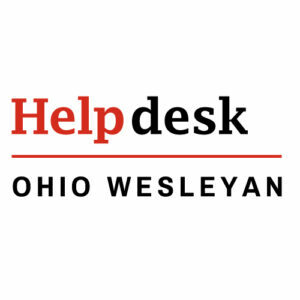 Log into BishopMail online (http://mail.owu.edu). Click on the Settings link at top right. The contents of the General tab will be displayed. Turn the vacation responder on by clicking the circle in front of that setting. In the Subject and Message fields enter appropriate text for your automated vacation responder. The message should indicate when you will be returning to the office and how requests are to be handled in the meanwhile. Your BishopMail signature (that appears three sections above the vacation responder in General Settings) will automatically be included in the message. Click the Save Changes button at the bottom of the page. You’ll notice that BishopMail adds a yellow bar at the top of the Inbox to let you know that your vacation responder is on.